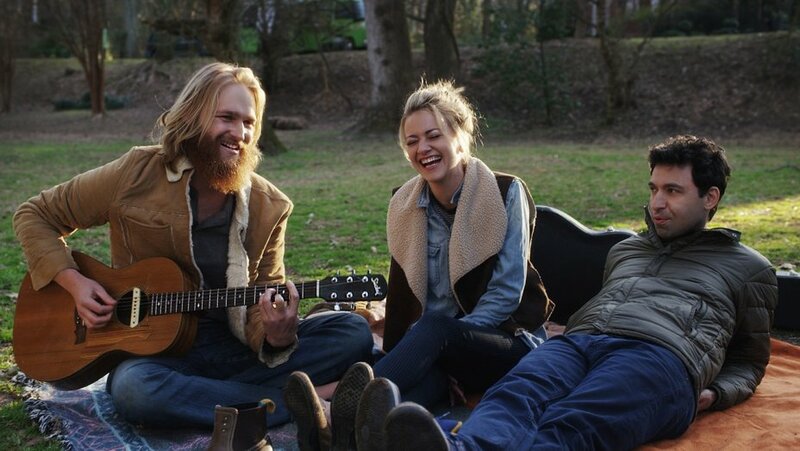 With its bifurcated title, “Folk Hero & Funny Guy” —the new film from “It’s a Disaster” director Jeff Grace— makes a clear mission statement of comparing and contrasting a pair of individuals before the audience has seen a frame. Grace follows down-on-his-luck comedian Paul (Alex Karpovsky) as he joins childhood friend and famous musician Jason (Wyatt Russell) on a small club tour of the east coast. Shortly before Jason convinces Paul to join him on the road, a split screen shot shows the beginnings of each of their days. While Scott trudges through a work day as a temp, Black stays in bed —sleeping and otherwise— with a ladyfriend. Their vastly different routines prepare the viewer in a purely visual manner for the conflicts to come.